A few questions we’re regularly asked by clients and prospects. If your question isn’t answered here, we invite you to contact us. I see that you provide a human approach. What specifically do you mean by this? Interacting with some IT companies can feel very frustrating at times. Remarkably, many IT companies and other organisations think it is acceptable to keep you waiting several minutes on hold, and when you eventually get through you find that they are working from a predefined script. Worse still after a long wait you are then provided with a support ticket. All of which can feel very dehumanising. With NECL there are no call centres or support tickets, just a real empathetic human being at the end of the phone or visiting who is genuinely going out of their way to ensure that your computer needs are met. We only employ experts who have a strong customer service ethic, good business brains and great interpersonal skills. What locations can you provide IT support to? Whilst our registered office is in central London we pride ourselves in providing a truly first class service to people at home and small businesses alike. Whilst we love to see clients face to face, we recognise that to provide a rapid response it is not always practical to visit you all the time. Therefore, we like to combine a mixture of visits and remote help using the very latest technologies to ensure that you get the service that you need. By working in this way have a proven track record of providing the very best IT support to the whole of London Buckinghamshire, Hertfordshire and Oxfordshire. I am a home computer user. Do you have a service that would suit me? Yes, whilst over half of our clients are small businesses we have a portfolio of clients who look for individual one to one computer help within their home. Our personable IT Consultant, can visit you at your home at a time that suits you. They will listen carefully to your needs and can provide help in a number of areas. NECL can help solve problems with existing equipment or supply new. We can do the setup for you to ensure that things are secure and that everything is working together. We can then provide careful and patient training if that is helpful. In addition we can supply and help with your mobile phones and ensure that you have good internet connectivity throughout your home. For families with young children we can give you the very best advice as to how to keep your young ones safe whilst on line. If you are looking for help with your home computers or internet connectivity, why not get in touch and find out more. We have lots of experience in this area. How do you consistently achieve 5 star ratings on Google and Trustpilot? This is because we have over 15 years’ experience providing IT support and associated services to small businesses and clients at home. We are truly client focussed as a company in everything that we do and put you or your small business at the centre. For some this means going that extra mile to truly understand your business goals and painstakingly aligning your IT and digital marketing arounds those goals. For others, it means understanding in detail what you want to get out of your computing and then ensuring that products and services are tailored around your needs. We have been in touch and your pricing looks very competitive. How do you achieve this whilst providing great service? We recognise in servicing the small business and domestic market that price will always be an important factor when evaluating an IT or digital marketing provider. With the above in mind, we have been innovative in managing down our own costs. Here at NECL, you won’t be visited by slick sales people in expensive cars nor will you be able to visit us at our plush offices as we have neither of these. In our view, these costs are unnecessary and would lead to unnecessarily high bills to you. Instead, with NECL, you will be visited by a highly qualified IT consultant with great interpersonal skills who cares deeply about identifying and meeting your objectives. Furthermore, we believe in leading by example. For us this means deploying the very latest technologies to optimise communication and maximise efficiency. All these savings to us we can pass on to you in realistic pricing, so whether you are a small business or someone looking for IT help at home, do get in touch as we think you’ll be pleasantly surprised by how cost effective these services can be. Why should we consider using NECL as opposed to another IT support provider? When we established NECL over 15 years ago we took a really fresh look at the way traditional IT support is being delivered and realised that there is a better way. The problem with traditional IT support providers is that the service is disjointed and things get lost in translation as tasks move internally like an elaborate Chinese whispers with no-one taking ownership or responsibility. With our service we have eliminated these dysfunctional structures and instead place you in the hands of one of our IT or digital experts who will guide and support you through the process from beginning to end. In short, we are genuinely different in a way that our clients like.  If you haven’t already, we recommend that you look through our client reviews on Google and Trustpilot and get in touch if you have any further questions or would like to take up specific client references. I am thinking of starting a small business. What specific help can you provide me with to help get me up and running? Whether you are starting a one person life style business or have ambitious plans to grow and sell a business over a defined timeframe we would like to hear from you. This is because we have lots of experience of start-ups and have a real passion for using IT and online technologies as enablers to give your small business start-up every chance of success. On day one, we will sit down with you, to help agree realistic goals and assist in the development of a straight forward plan to start making these a reality for you. From an IT perspective, we can assist you in several areas, from finding technologically suitable premises, to choosing the right accountancy software and accountant, from helping ensure that any IT decisions that you take no matter how small are fully aligned with your objectives, to ensuring that you have the appropriate telecoms and mobile connectivity. From an online perspective, we can provide invaluable insights as to the size of your opportunity as well as providing precise competitor analysis. Perhaps you are thinking of starting a small retail outlet, or even a small distribution venture, maybe you are currently employed as a solicitor or chartered building surveyor and are and thinking of going out on your own, whatever your situation, why not get in touch? We can provide a tremendous level of help to ensure that your dream stands the very best chance of becomes a reality. I am looking for a one stop shop for all our IT needs. Is this something that you provide? Most definitely, in fact the majority of our clients prefer to work with us in this way. This is because clients who have multiple suppliers looking after their IT and digital marketing needs often find that they spend a huge amount of time liaising between parties on technical issues which can be very time consuming. Furthermore, if something stops working, they can find them self unsure as to who to call and who will take overall ownership for a resolution. Managing a single supplier takes a lot less time and can be more cost effective too. It is also a lot less stressful as one phone call or email sent will lead to a resolution no matter where the problem lies. In many ways this is the complete peace of mind option. Here at NECL, we pride ourselves in providing a really comprehensive service. On an IT support level we look after you from initial advice to implementation to aftersales and ongoing IT support. So whether you need a new server, laptop or desktop computer, file storage, telephony or connectivity you can rest assured that we can handle all your IT support needs. I am an accountant and I like to be in complete control of our IT costs. How can you help me budget so that I can manage cashflow and budget properly? When running a small business managing costs properly is really important. There is nothing worse than having IT contractors visit where the costs are open ended and unclear. Here at NECL we have tailor made our IT support packages specifically for the accountant in all of us. Firstly, we offer you a moderate fixed monthly price for all our time. We then don’t penalise you for onsite help or advice. With the Premium product, we also include unlimited consultancy and advice, working with you to create your IT plan for the future. The only extra that you pay is for materials, hardware and software which we quote for in advance, giving you the opportunity to go ahead. Perhaps you would like a change in the specification or even a deferral of these material costs into the next financial year. There is no pressure from us. All of which leaves you in complete control. I like what I have read on your website. What are the next steps? It’s up to you. We believe in giving people choices. You can either fill out our contact form leaving as much or as little information as you like or you can give us a call. Whichever method you choose, we can either have a no obligation phone call at a time that suits you, or perhaps and exchange of emails would be better. Either way, it’ll be good to hear from you. I work from home. How specifically can you help me? One of the many positive impacts the internet and email has had on our lives is the ability it has given many of us to work remotely. This opportunity has been further enhanced by the increased availability of high-speed internet both with the home/ office and via mobile connectivity. Whilst listing all of the benefits is beyond the scope of our reply here, the benefits of home working are wide as they are varied. From an employers’ perspective, it offers the chance to achieve competitive advantage by driving down costs in a way that does not impact on the level of service that they provide whilst empowering employees to be accountable for results rather than day to day activities. From an employees perspective, it offers opportunity for greater control over their working day often increasing morale and productivity whilst at the same time. Improving work-life balance and quality of life. Here at NECL, we embrace home working whole heartedly. Unnecessary commutes and internal meetings are kept to a minimum. Modern communications are used to the max whilst meetings are held over a delicious breakfast and are an informal event between likeminded colleagues. All very productive. We look after many people working from home. Some are small business owners without an IT support team who require the same benefits. Others are senior managers who do not wish to upset IT department priorities. Whatever the situation, the requirement to experience proactive high quality IT advice or support remains the same. Here at NECL we make home or remote workers feel as connected as their office colleagues. We achieve this through our personal approach and our great attention to detail. We will sit down with you over a cuppa, and carefully align your IT with your objectives. This may include, choosing and installing the right laptop, helping you design your workspace, or perhaps fine tuning your office remote access. Whatever your need when working from home our IT Consultant will be quietly working away to provide you with the right technology at a sensible price. I need a new laptop or desktop computer. Should I be getting in touch? Of course, whilst you could always wander into your local shop or department store we feel that you deserve better. With us, you won’t have to travel anywhere as we come to you. You won’t have to wait for a shop assistant to be free as we fit our diary commitments around you. The NECL way is to have our personable and knowledgeable IT consultant visit you at a time of your choosing, designing and installing a system that specifically matches your needs. Furthermore, you then retain the same point of contact so that if you ever have a technical problem you can rest assured that we will always be there to help. System uptime and reliability is really important to me. How can you help in this regard? In retail you rely on IT to be reliable so that you can have fast throughput at your tills. In a professional partnership, such as a firm of solicitors, IT needs to be reliable so that work can be sent out in a high quality in timely manner. As a building surveyor there will be surveys to be produced and sent to the client. Whichever industry you are in, even a small amount of unplanned system downtime literally costs you money and can be really harmful to your reputation. Here at NECL we understand that IT uptime is mission critical and place a high degree of emphasis on this. In fact reliability is built into everything we do. From working with you at the initial phase, to understanding your objectives, to painstakingly choosing the right equipment to our meticulous installation and configuration. Here at NECL we believe that every step is important to ensure that reliability is built in to your systems and not an afterthought. I have an in-house IT, are there any benefits in outsourcing it to a company such as yours? We are often asked to make comparisons for business owners or senior management in this regard and are delighted to do so. It is almost always better to outsource. Here’s why. If you have under 150 employees, it is impossible to gain any economies of scale to make employing your own in-house IT team cost effective. Companies who have in house IT find it an unwanted distraction from core activities. They often find recruitment, retention and management of the key people difficult as they do not have the experience necessary to make it a success. Furthermore, holiday cover is often tricky as key information about the systems are not stored or passed on correctly. Often this over reliance, on a key individual is exacerbated by the departure of a key person who then a leaves a tremendous gap and problem in the short-term. Here at NECL we looked carefully at these client concerns and have structured our business to ensure that it is always beneficial to the client to outsource. Firstly, through our ever-growing client base we generate real economies of scale, we start with employing only the best people and provide training via a quality structured training program for all team members. Here at NECL, we recognise fully that people are and always will be our greatest asset and through a strong retention program boast the lowest staff turnover in our industry. We then mix in the best technologies and combine this with our experience from other industries. All this means that we can provide real value for money to any organisation considering IT outsourcing.